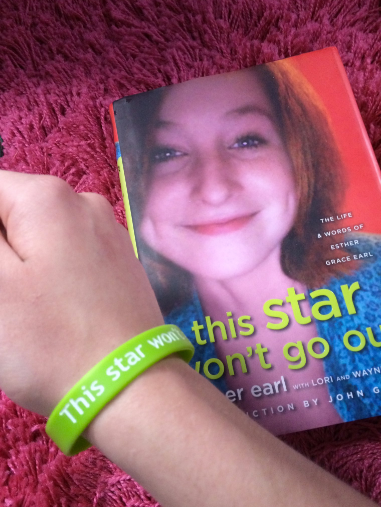 A collection of Esther's writings, This Star Won't Go Out: The Life and Words of Esther Grace Earl, was published by Dutton on Jan. 28, 2014, and quickly rose to the New York Times Bestseller lists. It was also the Goodreads Choice Award for Memoir and Autobiography in 2014. Photographs and essays by family and friends help to tell Esther's story along with an introduction by award-winning author John Green. The Fault in Our Stars is a love story about two teens dealing with cancer who meet in a support group. While is is not about Esther, John's friendship with her inspired his writing, and he dedicated his book to her. This Star Won't Go Out is a 501(c)(3) non-profit.